At enlistment Curtis was 5ft 9 1/2 inches tall, with a chest measurement of between 32 1/2 and 36 inches. He had a clear complexion, grey eyes, dark brown hair, had sound hearing, and was generally. in good bodily and mental health. Arthur Humphrey Curtis was born in Alton, Hampshire, England on 3 March 1881, to Arthur and Maria Curtis. In 1891 English census records record Arthur (junior) and his family In Devon, but by 1901 he had relocated to London where the now 20 year old was a medical student. Prior to the war Curtis was a medical practitioner (listed as a surgeon in 1911), residing in Temuka. He listed his sister, Mrs W. Pearse of Temuka as his next-of-kin. Before leaving for the war, Curtis had in fact given away his sister at her marriage to Warne Pearse (brother of inventor Richard Pearse) in July 1915. The couple were entertained at Dr Curtis’ residence for afternoon tea before they left for their honeymoon. 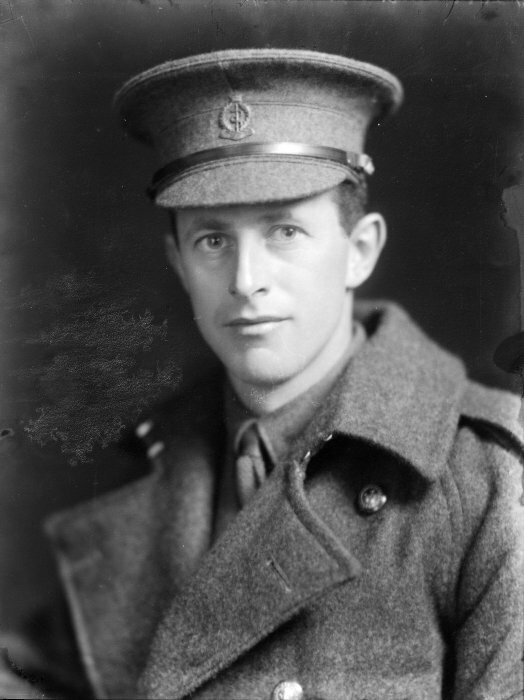 A month later, on 14 August 1915, Curtis embarked from Wellington, New Zealand with the New Zealand Medical Corps, Field Ambulance, 6th Reinforcements. Captain Curtis moved between posts in Cairo, then England, and France (where he served in a Field Hospital), but also spent time in hospital in most of the same places with influenza (January 1916) or bronchitis (March 1916, then again in 1917). Looking after patients in the main hospitals would have made good use of Captain Curtis’ professional skills, but he also served some time with Field Hospitals near the front. Here Field Ambulance troops took the wounded from the front after initial treatment at a Regimental Aid Post a few hundred metres behind the frontline to an Advanced Dressing Station which processed and evacuated men as quickly as possible. Here fatally wounded were made as comfortable as possible as they died. The situation and conditions could no doubt be fairly brutal at times. In total Curtis had served 2 years and 274 days, 2 years and 37 days of which was overseas. For his service he was awarded the 1914-1915 Star, the British War Medal, and the Victory Medal. Curtis’ military service continued to be recognised after the war, as he appeared in the New Zealand Gazette of 28 June 1928, on the retired list of the NZ Medical Corps – still entitled to retain his rank and wear his uniform. Shortly after his return from the war and discharge (in May), Arthur married. He and his bride, Winifred Inez Rix-Trott of Nelson, were married at the Cathedral, Nelson, on 1 June 1918. The couple had two sons: Peter Humphrey, born in 1919, and Anthony Henry, born in 1921. Curtis returned to the medical profession, being appointed the Superintendent of the Otaki Hospital and Sanatorium a few years later in 1921. Arthur Humphrey Curtis died at Marton on 17 June 1936.